When a new roof is being constructed for a commercial property, the building owner has to take many factors into account; these include the type of roofing materials/membrane to be installed, selecting the roofing contractor, and of course, budgetary considerations, to name but a few. And though it might not immediately be top-of-mind on their specific list, another important decision to be made relates to the choice of insulation. While it goes without saying that a layer of insulation must be part of any commercial roofing system, the failure to select the correct type of roofing insulation for a particular structure can have adverse effects, not just on the roof but on the building envelope too. 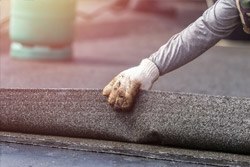 All of these materials are manufactured in the form of rigid foam panels, and they should be installed by skilled and experienced flat roofing contractors; one firm that can capably deliver such insulation installation services is Can-Sky Roofing in Toronto. 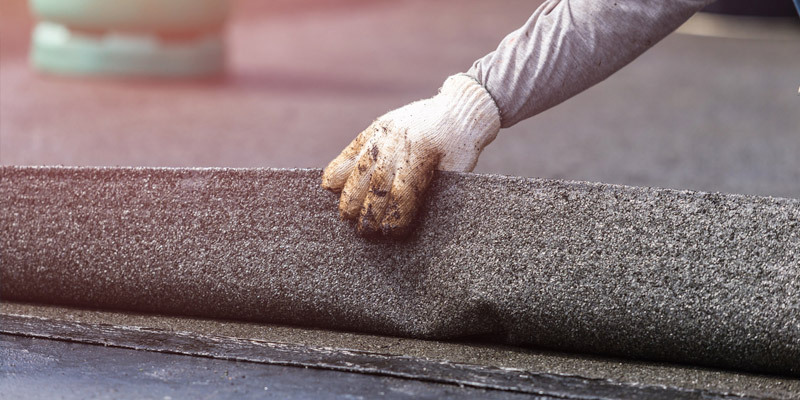 There are short-term and long-term implications that have to be weighed when deciding on such types of roofing insulation: cost, climate, permeability, and overall performance. This important decision is another reason for consulting with the experienced commercial roofing experts from Can-Sky Roofing; in addition to guaranteeing that the insulation will be installed correctly, these specialists in flat roofing can provide valuable insight on the type of insulation that will best suit the needs of the respective property owner/business. To learn more about the flat roof systems installed by the crews from Can-Sky Roofing in Toronto. As mentioned at the beginning of this discussion, when a new roof is being constructed for a commercial property, the building owner must take many factors into account; two such factors that should be part of that equation are the overall impact of the building on energy consumption and on the health of its occupants, i.e. creating a green/sustainable building or structure. And the selection of roofing insulation plays a prime role in these circumstances as well. 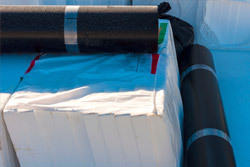 Inadequate insulation can result in an increased use of energy to heat or cool a building, and can also cause mold-related issues due to the excessive build-up of condensation; in essence, choosing the right type of roofing insulation, whether it be polyisocyanurate or polystyrene (XPS or EPS), will be most important in terms of protecting the integrity of the roof and the building envelope as well as producing a resource-efficient facility (or a green building). For more details on the new roof construction and insulation services offered by Can-Sky Roofing or call Can-Sky Roofing today at 647-691-0487 to request a free consultation and quote.